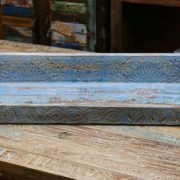 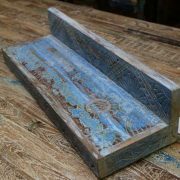 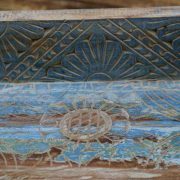 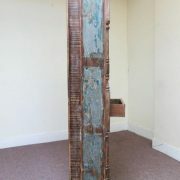 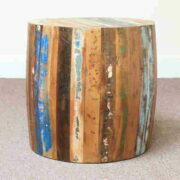 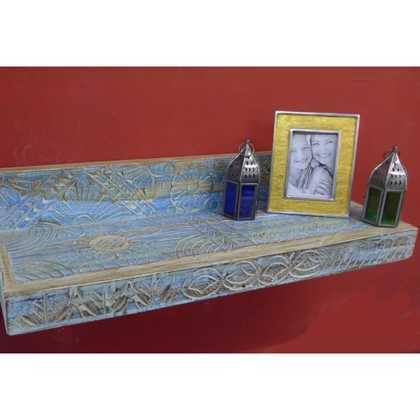 Distressed carved blue shelf made from reclaimed wood. 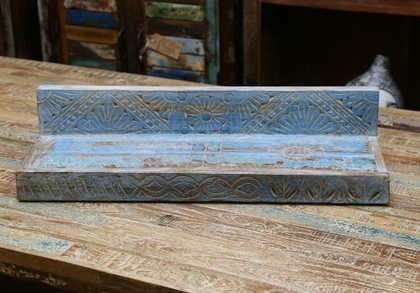 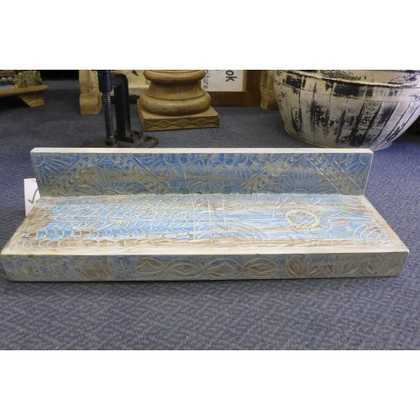 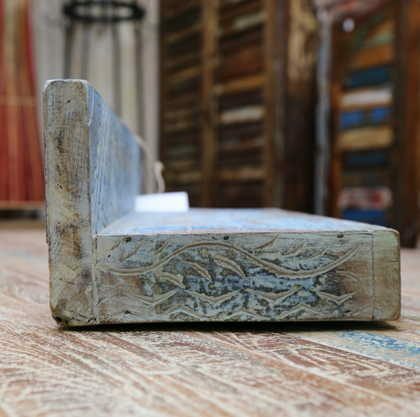 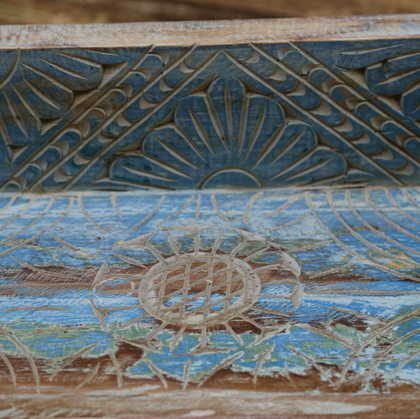 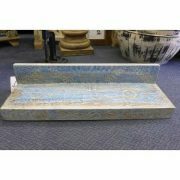 Delightful solid wood, carved shelf in a distressed light blue colour. 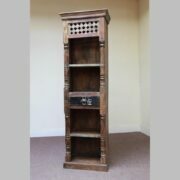 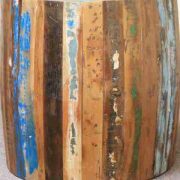 Handmade from thick reclaimed timber by a Rajasthan artisan, it comes complete with wall hooks, and is an ideal place for plants, books, ornaments or purely as a decorative item in itself.